Come football play-off season the pressure is really on for me. 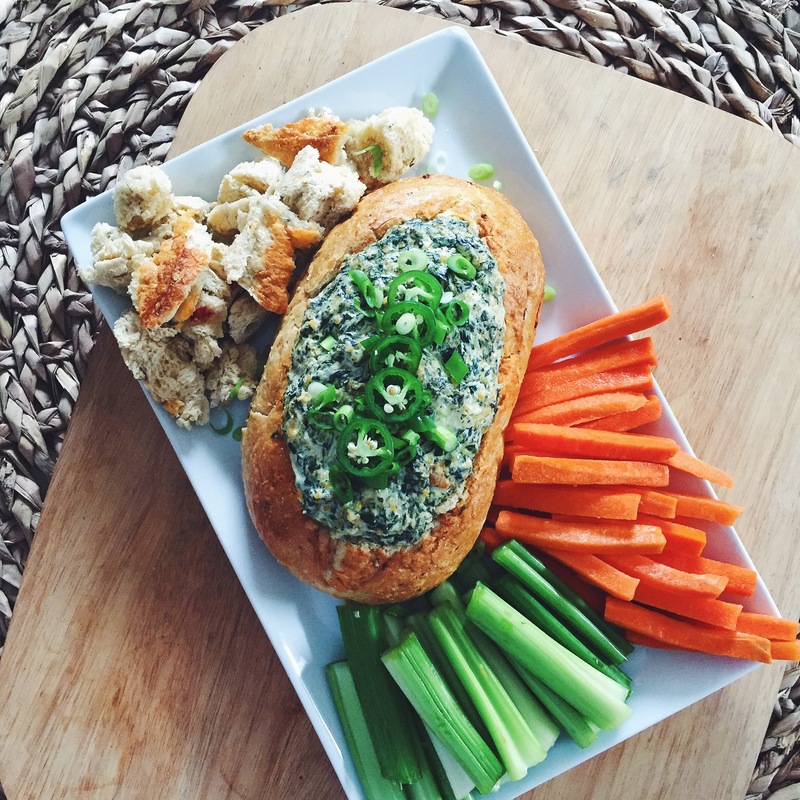 I’m not talking about being nervous or worked up about the actual games, I’m talking about intensely brainstorming game-day snack ideas. While everyone else is preparing their picks for the big game, I’m busy concocting up ideas for what I plan to stuff my face with. 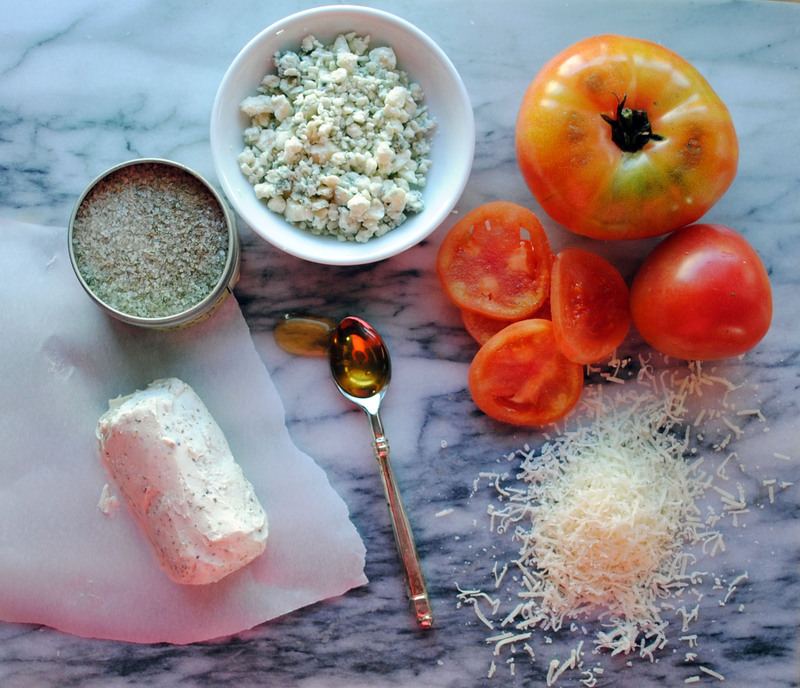 And good news: I have a buttery, carb-y, pepperoni-stuffed plan, my friends! When I hit a mental block thinking about what to bring to a football viewing party last weekend my husband offered me some sage advice. 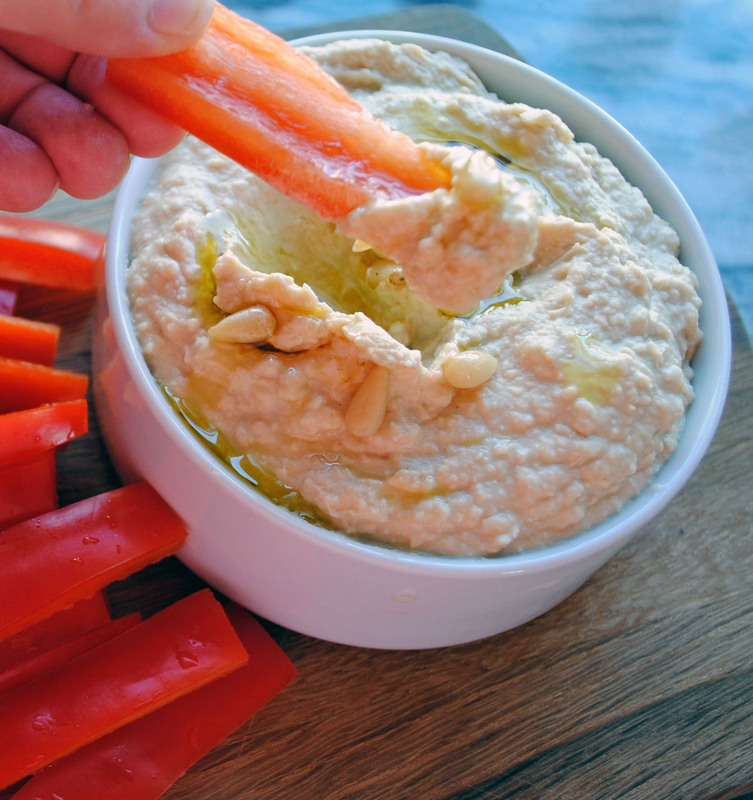 He said: ‘you usually do well by taking something big and tasty and turning it into a bite sized snack’ – of course! 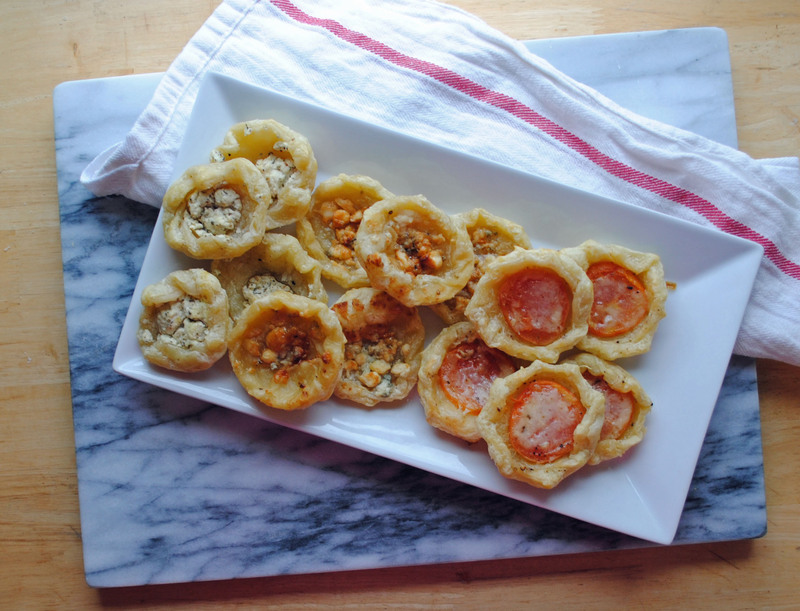 So I shrunk down my favorite flavors in pizzas and garlic breads into a super easy Pepperoni-Stuffed Garlic Knot bite. 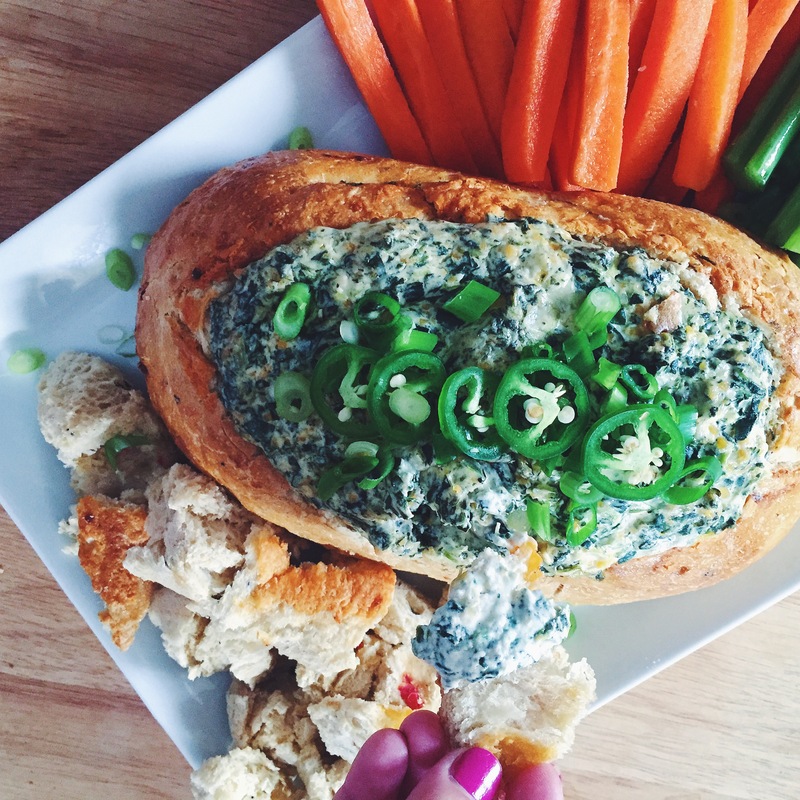 The full recipe is below for all of your Superbowl Party planning needs! Pull or cut 1″ round pieces of pizza dough and use your fingers to roll into a 1 to 2″ disc. Top the disc with a piece of pepperoni and a sprinkle of mozzarella cheese. 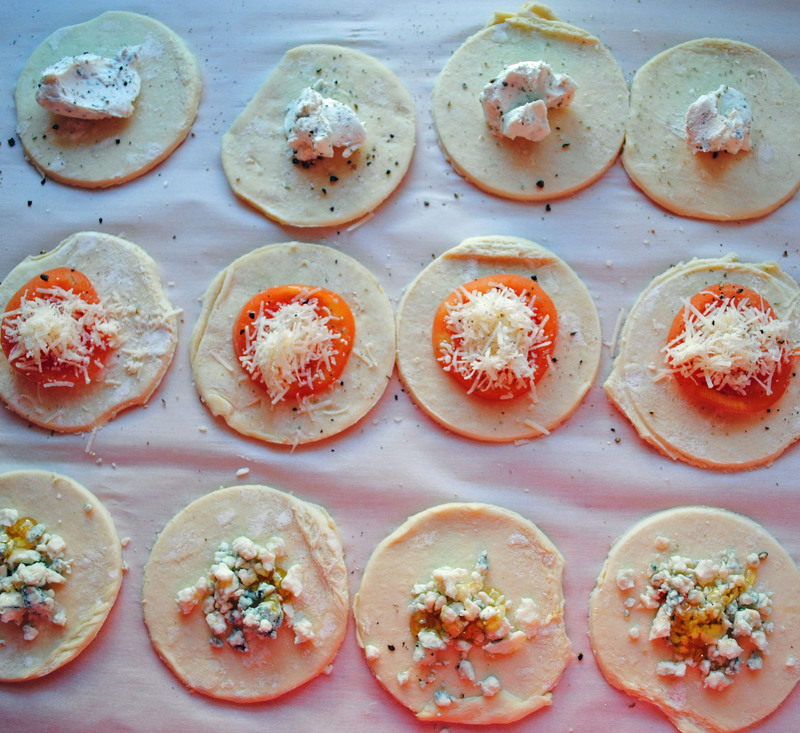 Roll the sides of the dough over the pepperoni and cheese filling and pinch the dough closed to seal it inside. Roll dough around in between your hands to round the shape and ensure the dough is fully sealed. Repeat until all of the dough is used up and arrange the dough balls into a pie dish. 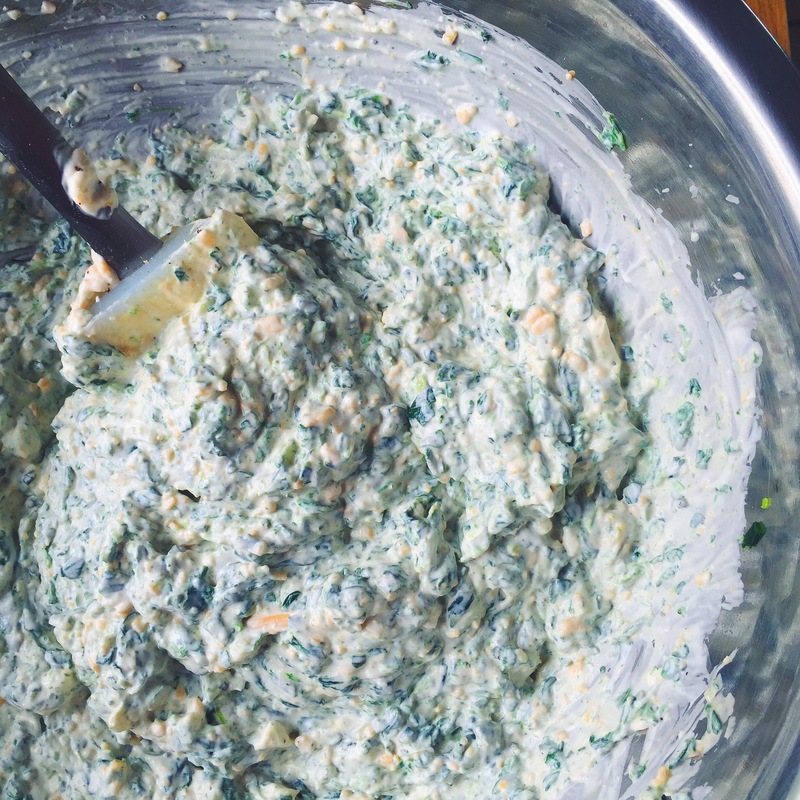 In a food processor, combine butter, parsley and garlic. 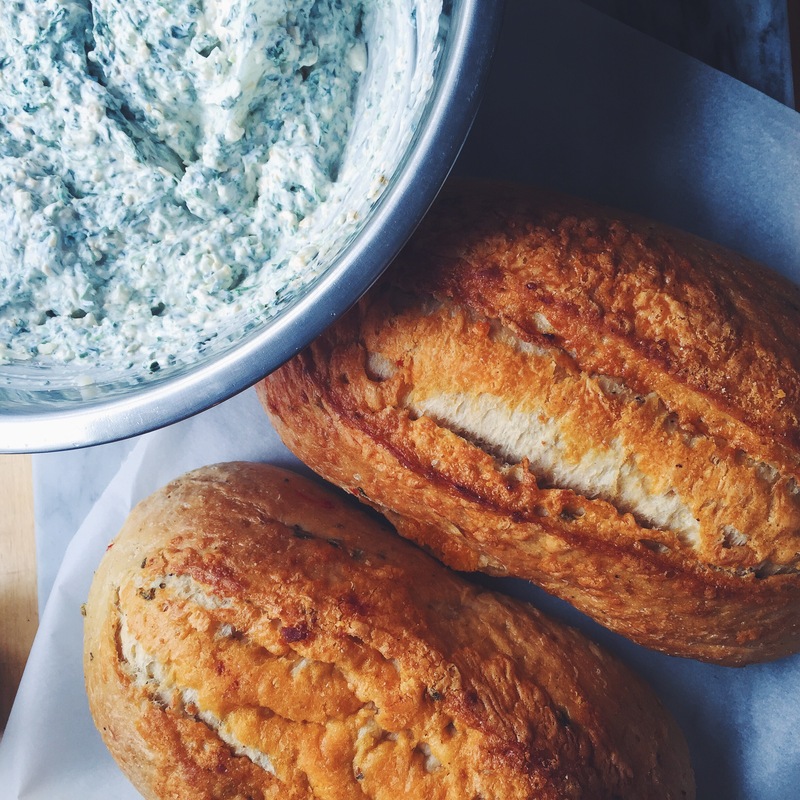 Spread the garlic herb butter over the dough, making sure that the mixture is evenly dispersed. 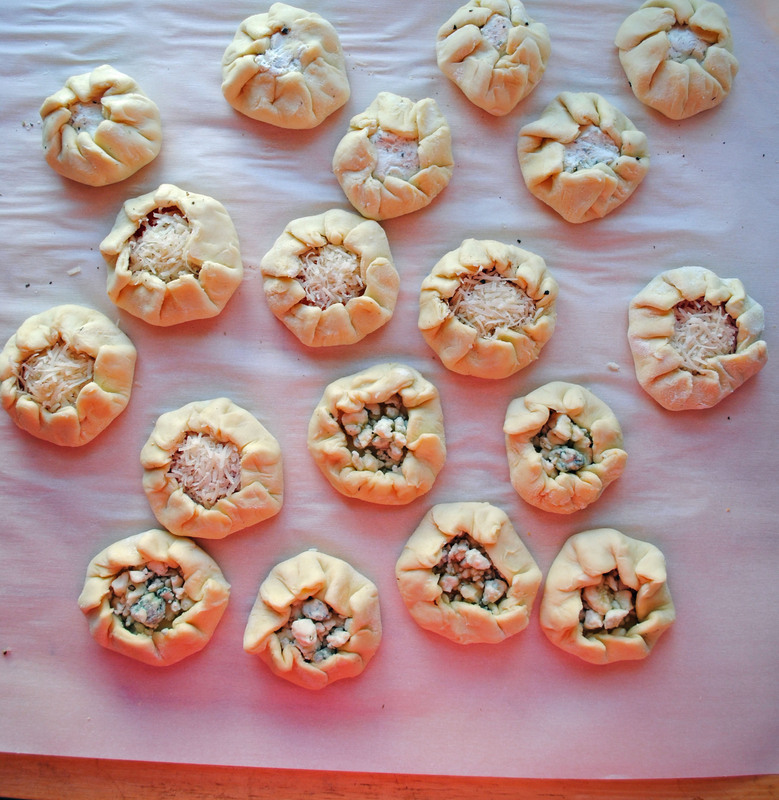 Bake in the oven for 20-25 minutes until the garlic knots just begin to turn gold brown. 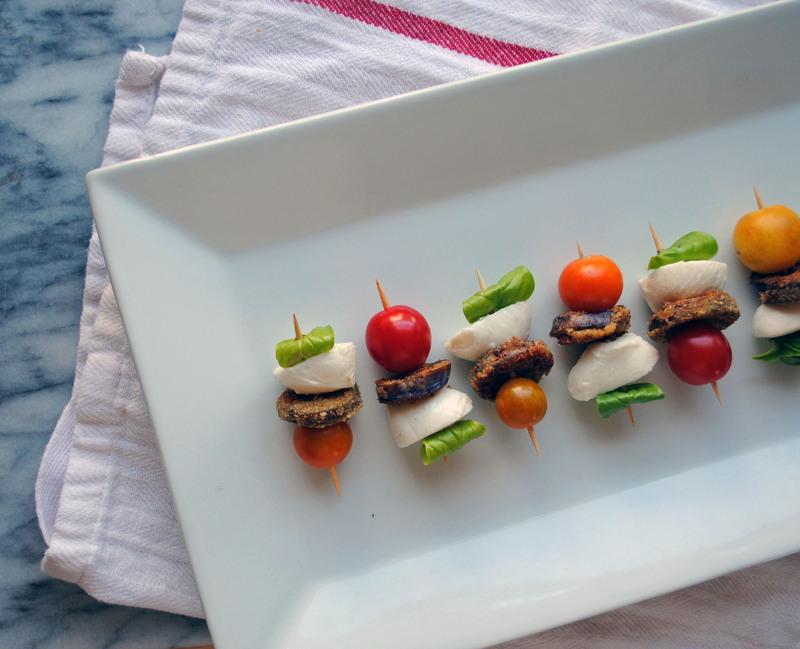 Serve with a side of marinara sauce for dipping. 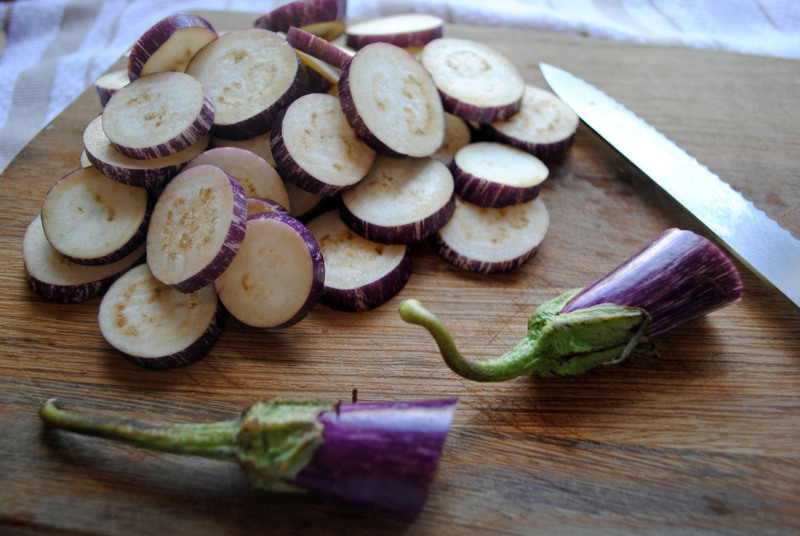 On a recent trip to the farmer’s market, I spotted the cutest little mini eggplants (I learned they’re called fairy tale eggplants) and had to scoop some up to experiment with. 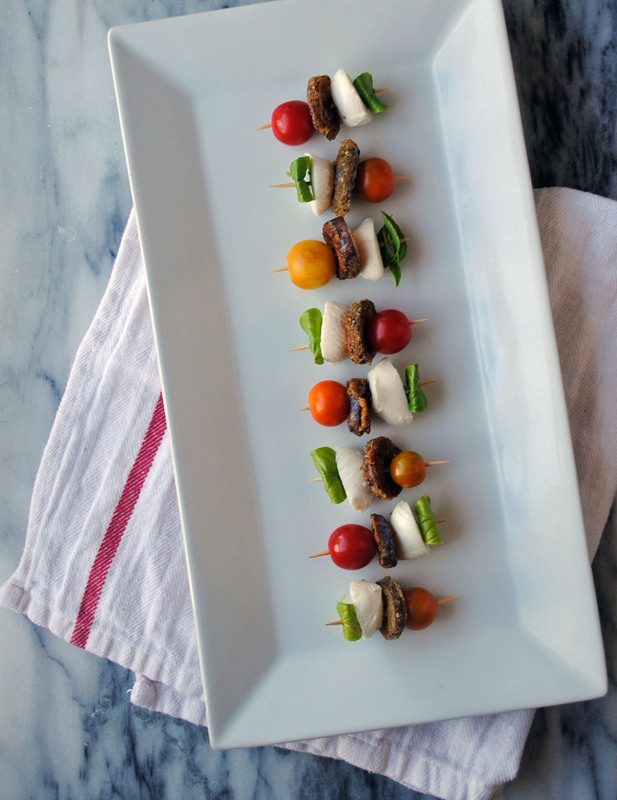 Given the warm weather recently, I decided to use them in a summer-temperature-friendly appetizer — eggplant caprese bites. 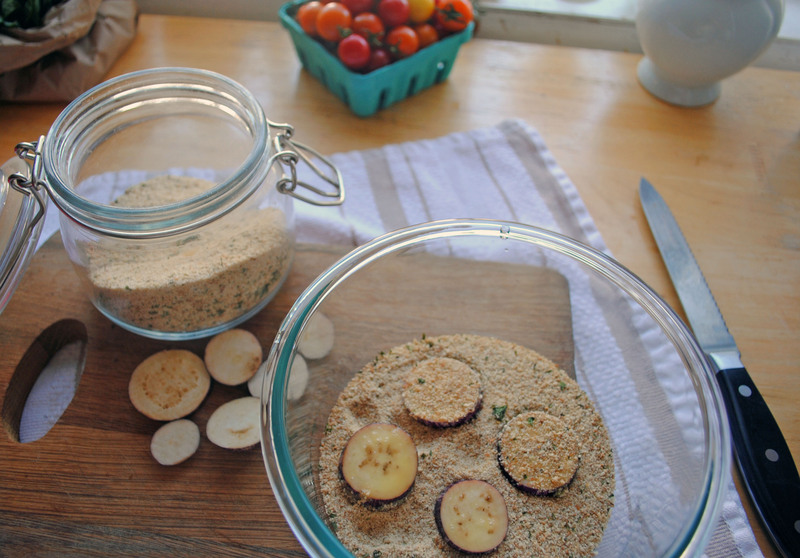 I washed the eggplants and sliced them into thin, 1/4 rounds, then dunked them in a whisked egg batter and dredged them lightly in Italian bread crumbs. 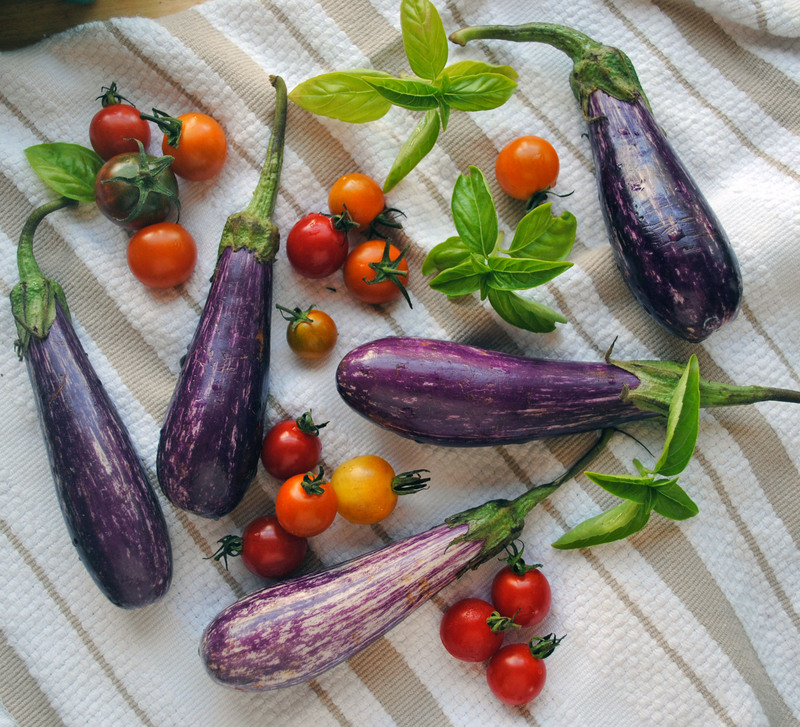 Using a large skillet, I browned the eggplant in olive oil, and then let them come up to room temperature while resting on a clean paper towel to remove some of the oil. 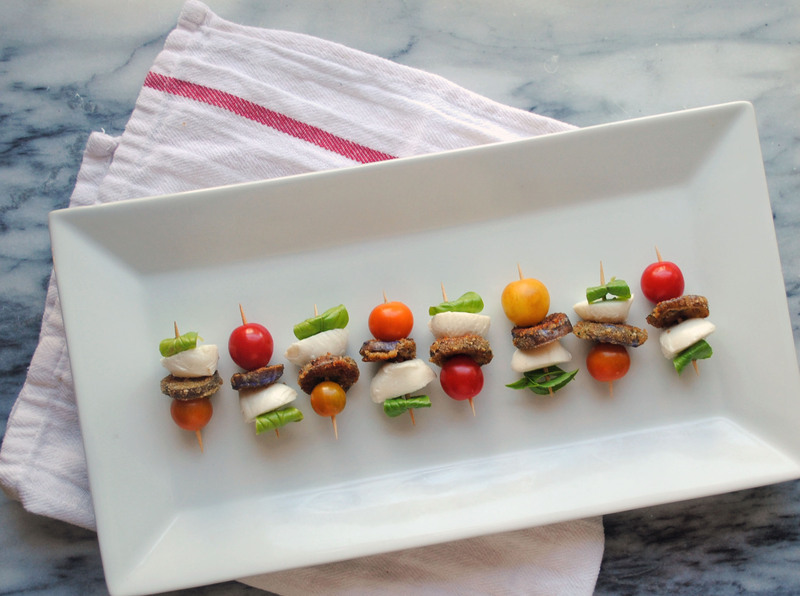 Then comes assembly time — on a toothpick I stacked up tomatoes, eggplant rounds, halves of mini-mozzarella balls, and fresh basil leaves. Right before I served them I sprinkled the bites with sea salt for a little extra flavor. Aren’t they so bright and cheery? Preheat oven to 375. Bring a large pot of salted water to a boil. In a skillet, heat a small amount of oil or butter and cook red pepper, yellow onion, garlic, and tomato for about 3-4 minutes, until they begin to get soft. Next, add in ground beef, and brown in mixture. When meat is browned, add in about a half a can of red kidney beans and the chives, heat through and then remove pan and set aside. 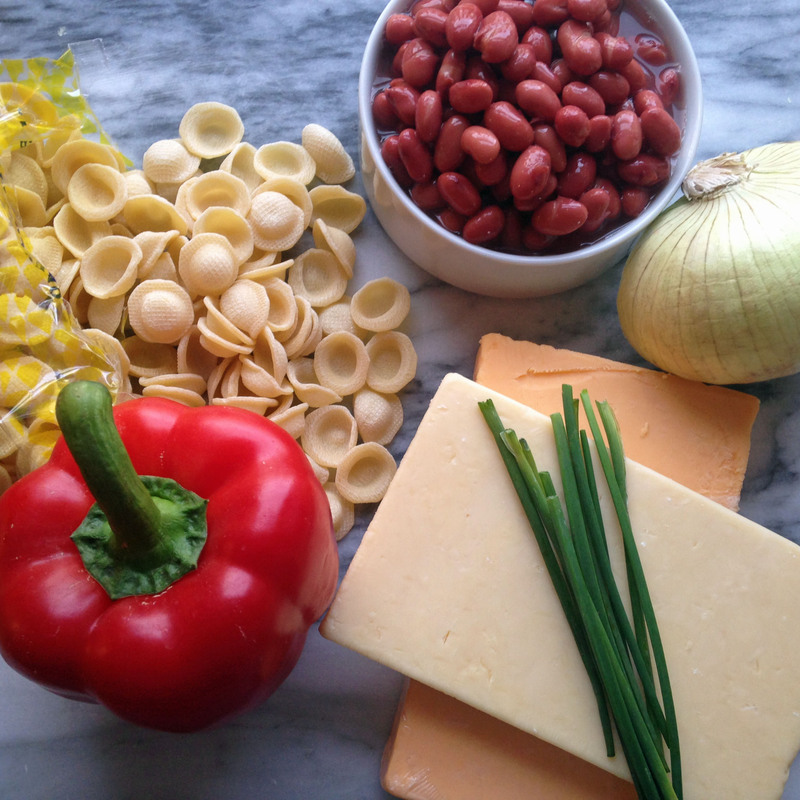 While making the chili mixture, cook pasta to al dente. Next, melt 3 tablespoons of butter in a pan, and add 3 tablespoons of flour, whisk together. Next, add milk, and continue to whisk together over the heat until it begins to thicken. 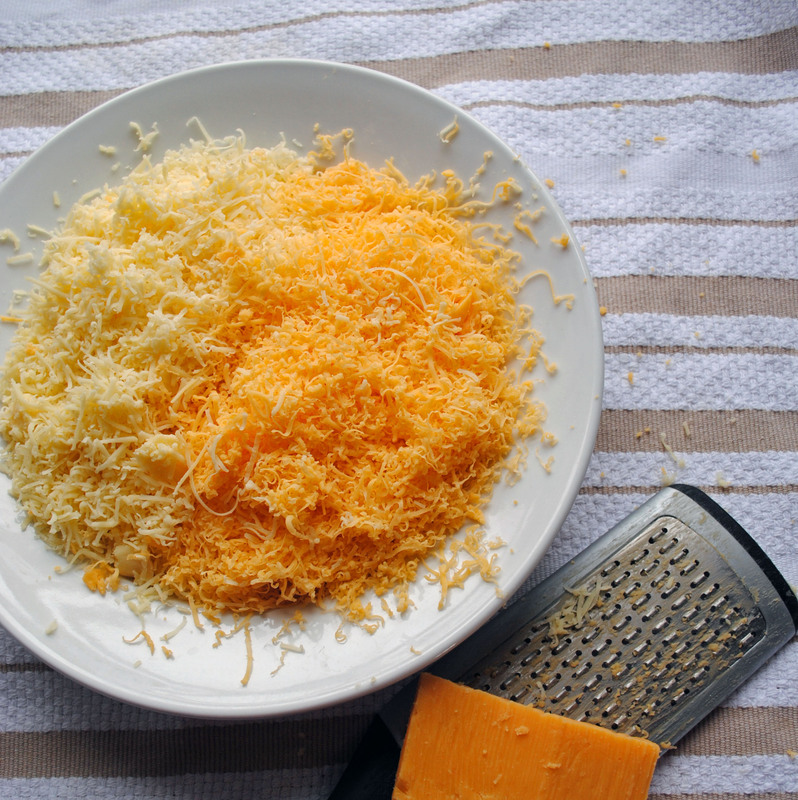 Next, slowly add in grated sharp cheddar cheese and continue to mix sauce until smooth. 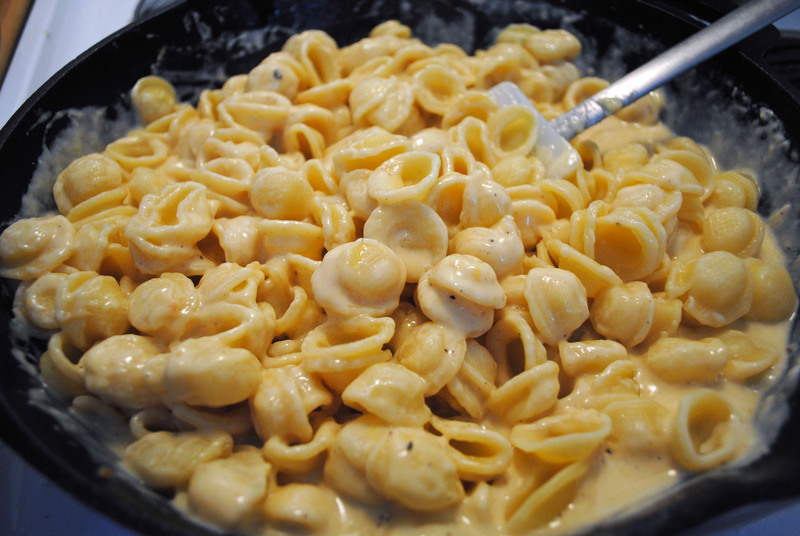 When all of the sauce is incorporated and smooth, pour it over the orichette in a large pot or bowl. 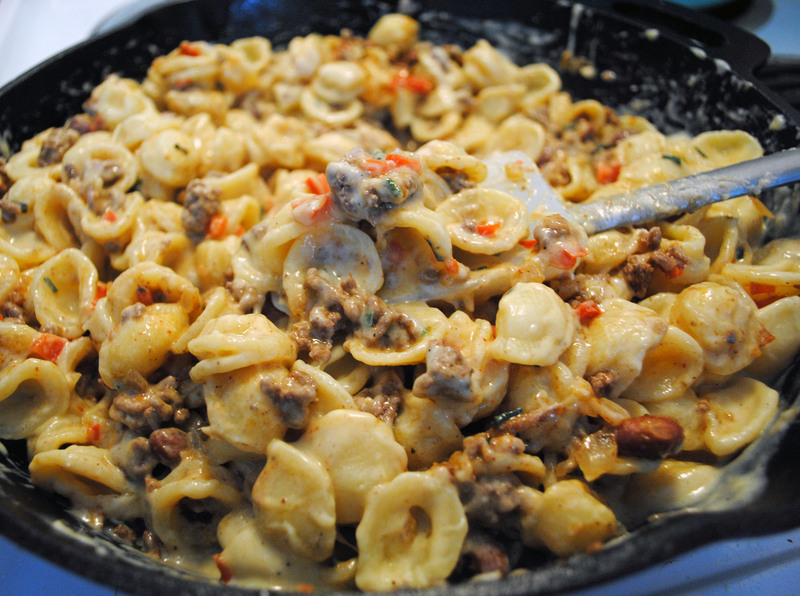 Fold in all of the sauce and pasta, and then add in the chili mixture. 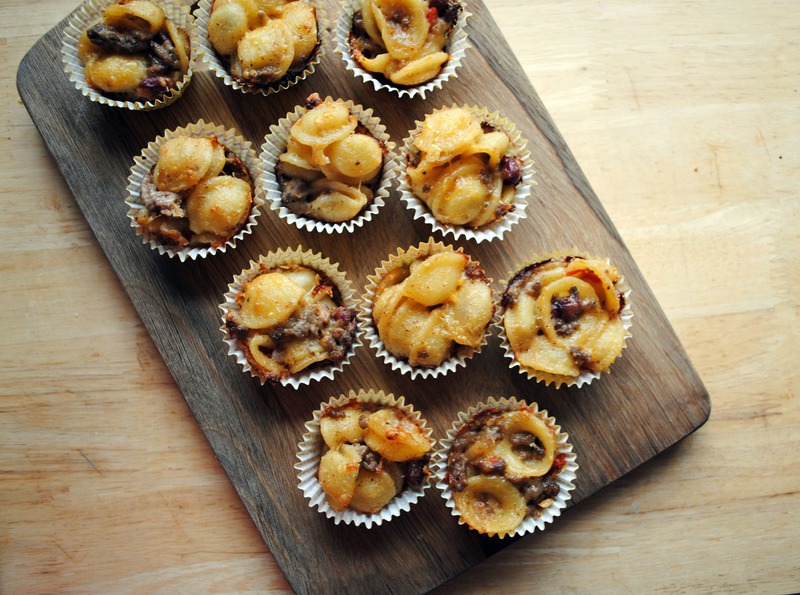 Scoop mac and chili mixture into a mini-muffin tin. 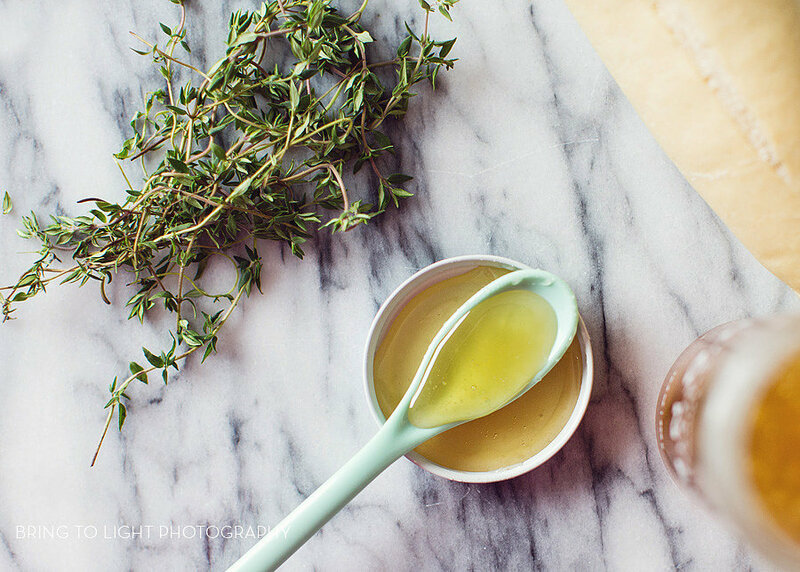 Using the back of a spoon, pack the mixture into the tin so that the ingredients are compressed together. 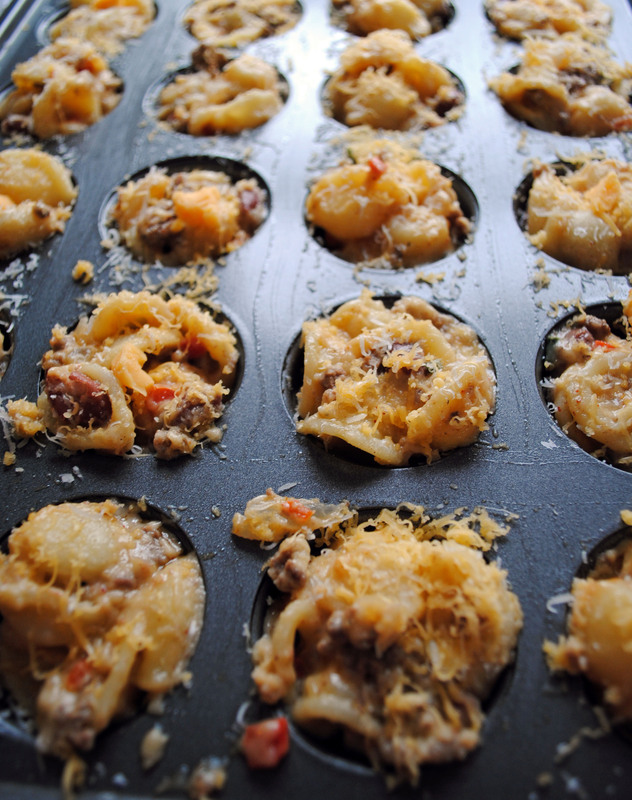 When the muffin tin is full, sprinkle more grated cheese over the top (I used some Parmesan here for extra flavor), and bake at 375 degrees for about 20 minutes. Remove from oven and let them rest and cool slightly before removing from the pan (this is important, they may not hold their shape if you remove them when they first come out of the oven). 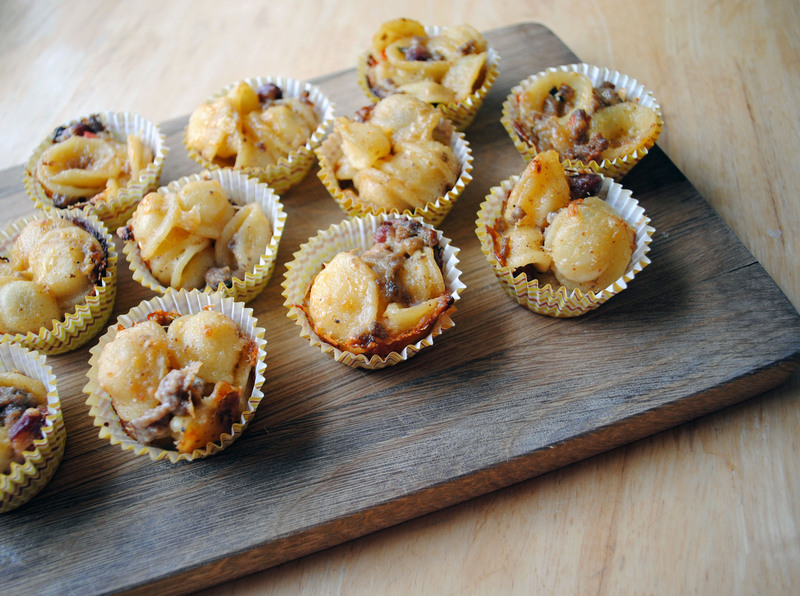 I served them in mini-muffin liners for a festive touch! 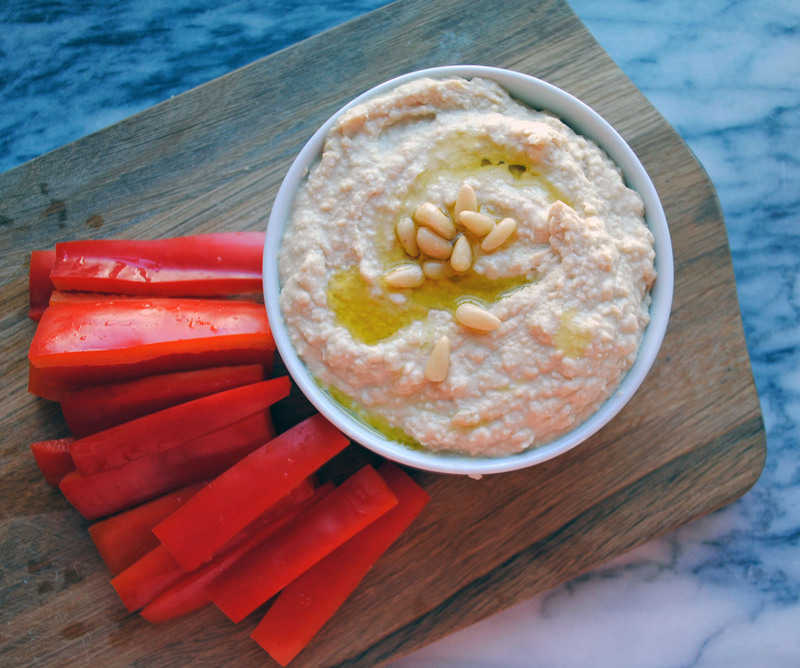 On my day off on Monday my husband suggested I try making homemade hummus — we buy it all the time and word on the street is that it’s pretty simple to make, so I gave it a whirl! I used Ina Garten’s recipe as a base (because she’s fabulous and I always trust her recipes!) and made a few modifications. First, I added a bit more garlic, an extra large clove, because adding more garlic is pretty much always my way life. 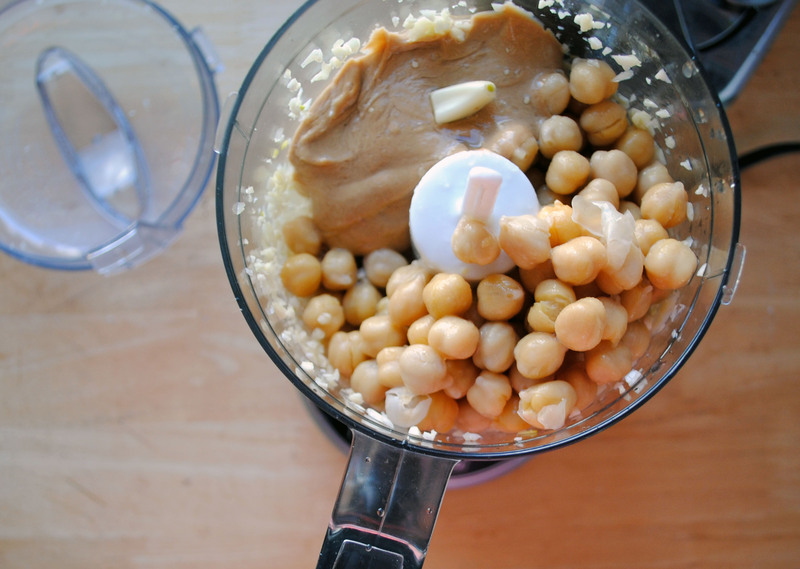 Next, I reduced the tahini paste — it has a strong flavor, and I added in a little bit of the recommended 1/3 cup at a time, I probably only ended up using 1/4 cup in my version. After I blended all of the ingredients, I used a spatula to scrape it out into a serving dish and topped it with a few toasted pine nuts and a drizzle of good olive oil (for no other reason than that I’ve seen it done at restaurants, and I think it looks pretty!). The verdict? 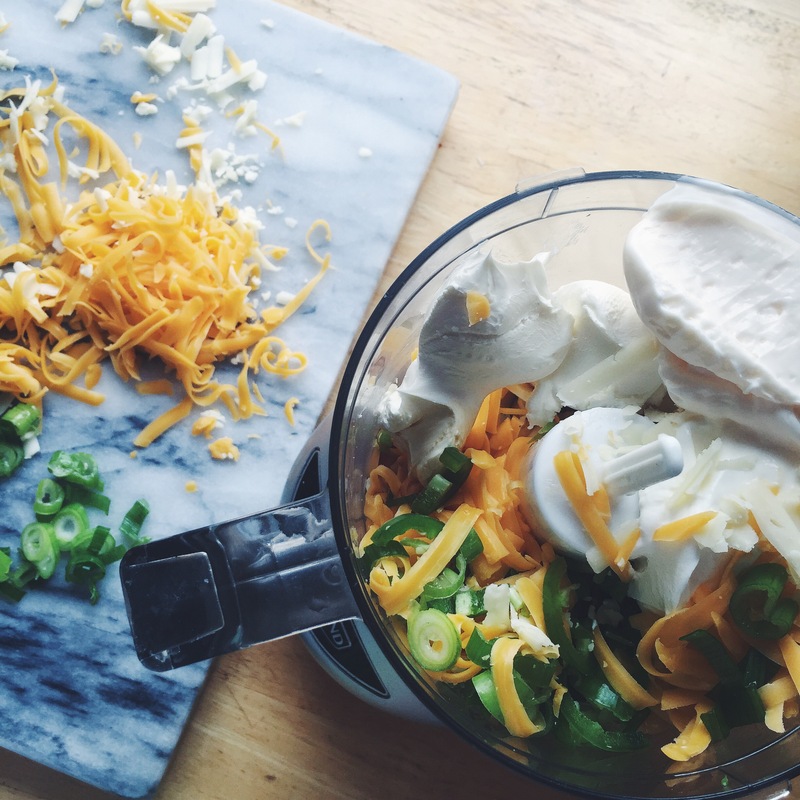 It really is as easy it sounds — you just throw it all in a food processor and blend. Now that I know that, I’m brainstorming more flavors to try! 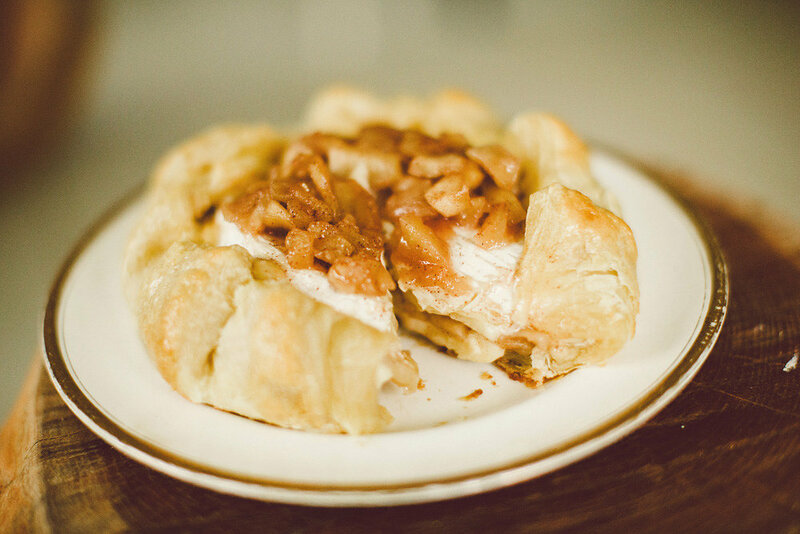 Baked Brie with Apple Compote. 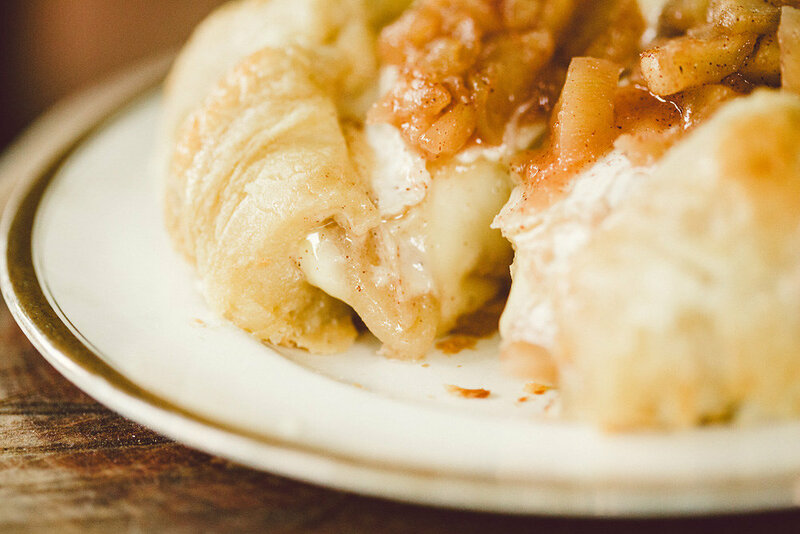 I have one more recipe to share from our apple-picking porch party that was featured on SMP Living last week — and this one combines my two favorite things, gooey baked cheese and sweet apples. The best part about this recipe? 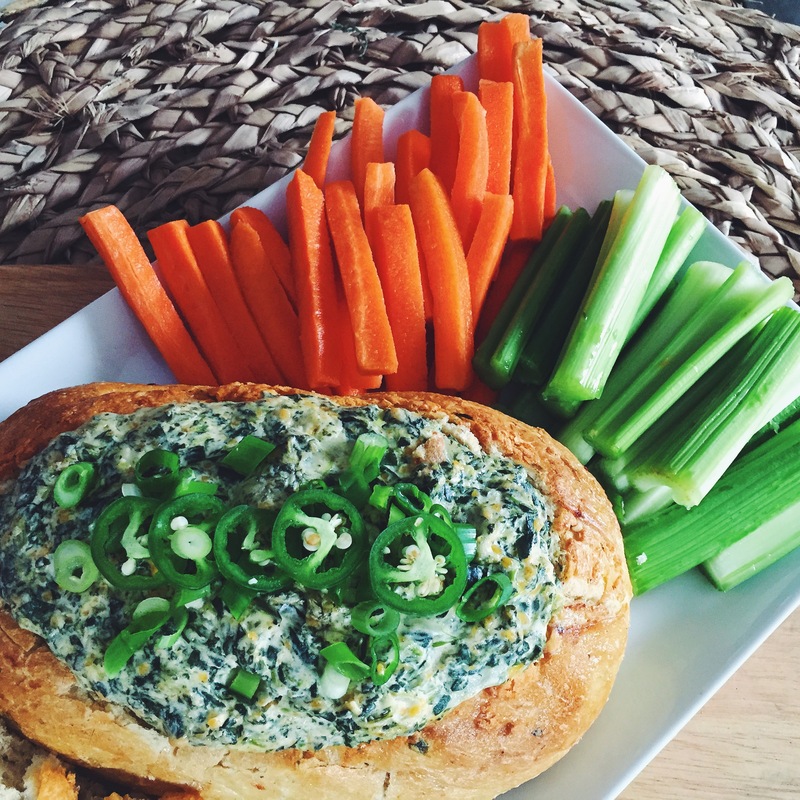 You can make it the night before and freeze it, just pop it in the oven before guests arrive! I’d be lying if I said we didn’t eat the full wheel of brie between the few us gals — it was delectable! In a small saucepan, melt butter over medium heat. Combine apple, sugars, simple syrup and spices in saucepan until apples are fully coated and sauté for 4-5 minutes while stirring. When sugars start to bubble up, remove the mixture from the heat and let cool. 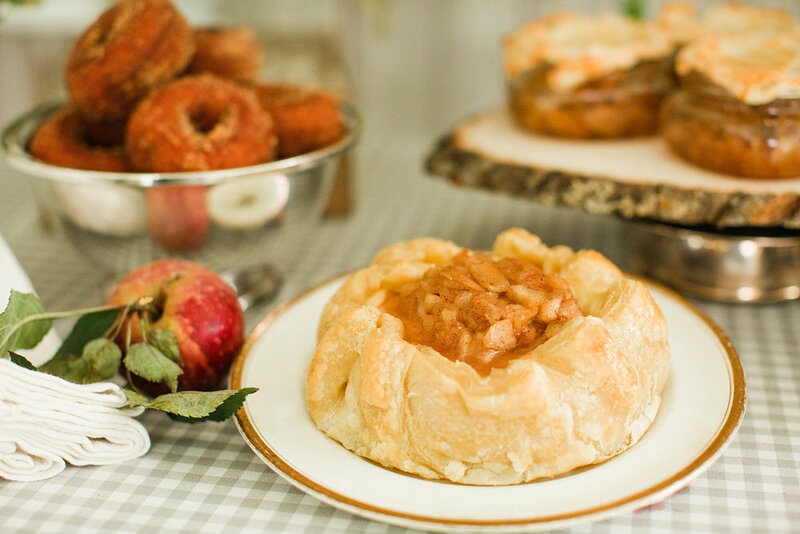 On a floured surface, roll out thawed puff pastry dough and cut into a 10″ circle. Cut the wheel cheese in half horizontally, place bottom half off cheese wheel on the rolled out pastry dough, top with 1/2 of the apple mixture. Place the second half of the cheese wheel on top, and cover the top with the remaining apple mixture. 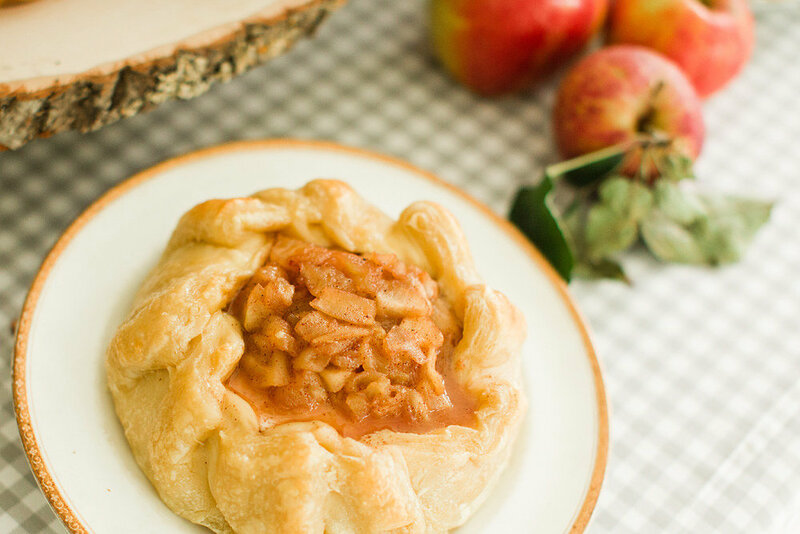 Working in a circular fashion, begin to wrap and fold the pastry dough around the brie, leaving some room at the top for the apple compote to show. Brush the dough lightly with one beaten egg, and then bake off in the oven for 35-40 minutes on a baking sheet, or until the crust is a golden brown. 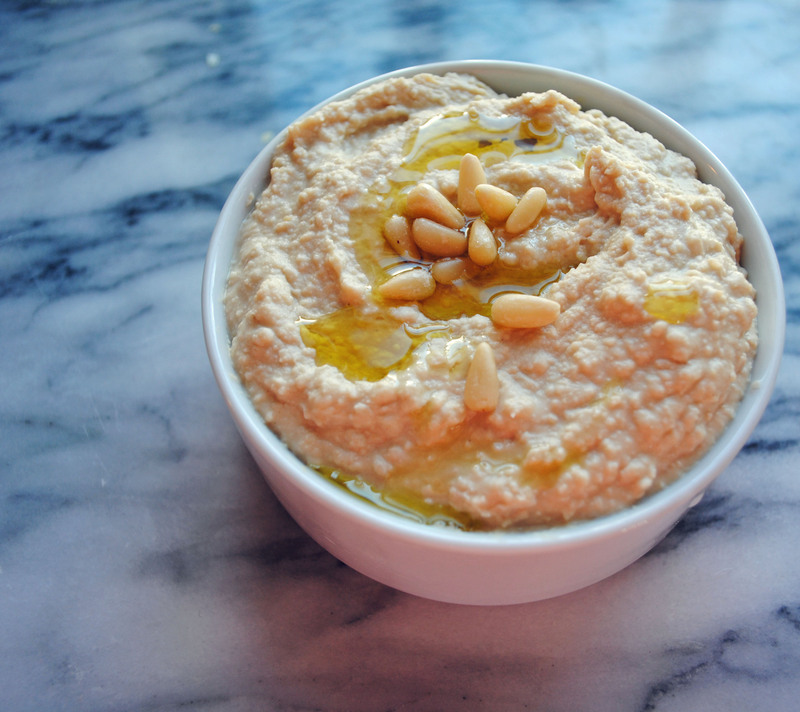 Let it rest for 5-10 minutes before cutting, and serve warm with a crusty baguette or crackers. A few weeks ago when we were in Maine for a wedding, we hanging around the rental cottage for the ‘after-after party’ and a cousin of the groom started whipping up grilled cheeses with the local blueberry jams that had come in our welcome bags. I have since been dreaming about this late-night snack and realized all of the untapped potential of grilled cheese experiments. 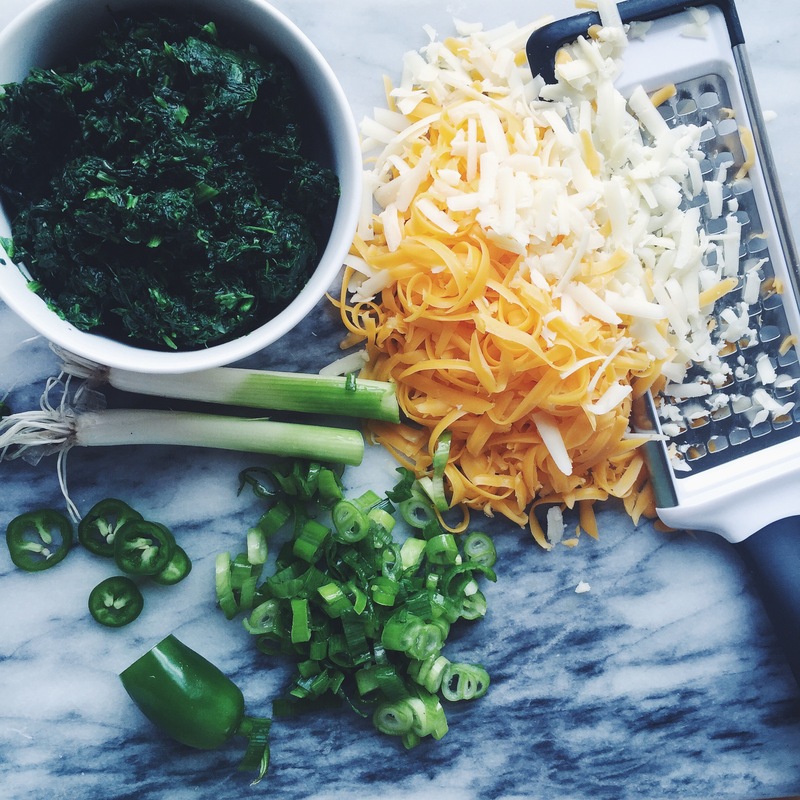 So I set to work this weekend to test some gourmet grilled cheese recipes that would be perfect for a grilled cheese bar at a casual party, or served bite-size as an appetizer. Are you ready for these pairings? First up, I recreated my late night inspiration with sharp English cheddar and wild blueberry jam (this one is still my favorite!). For a savory sandwich I combined goat cheese with cracked black pepper and fresh green chives (this won the husband vote). And for the most unique combination, I used a french brie, drizzled with honey, and topped with some sweet raisins. My cast iron skillet was pumping out these crusty, buttery little treats and we had quite the Saturday taste-testing all of my concoctions — I’m definitely using this idea for some simple entertaining with friends! 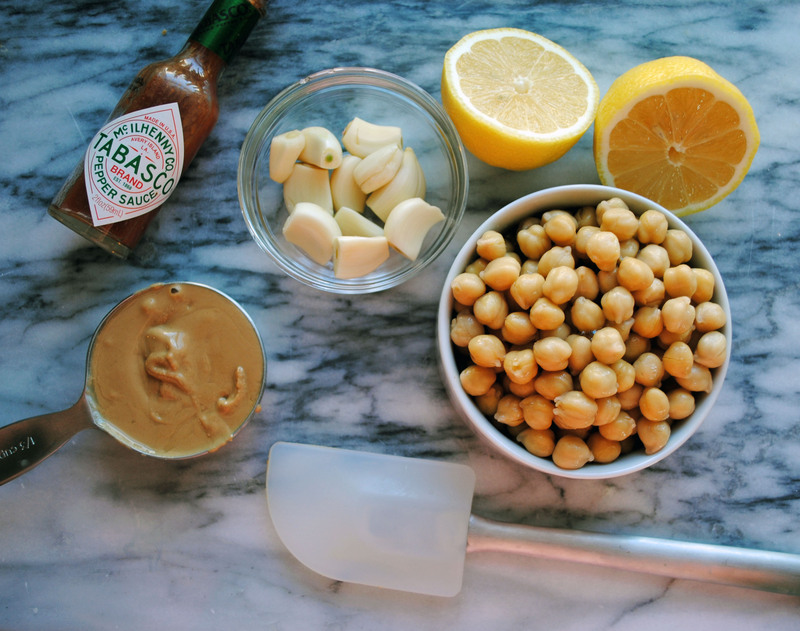 Guys, I can’t even express to you in words how much I love this appetizer. 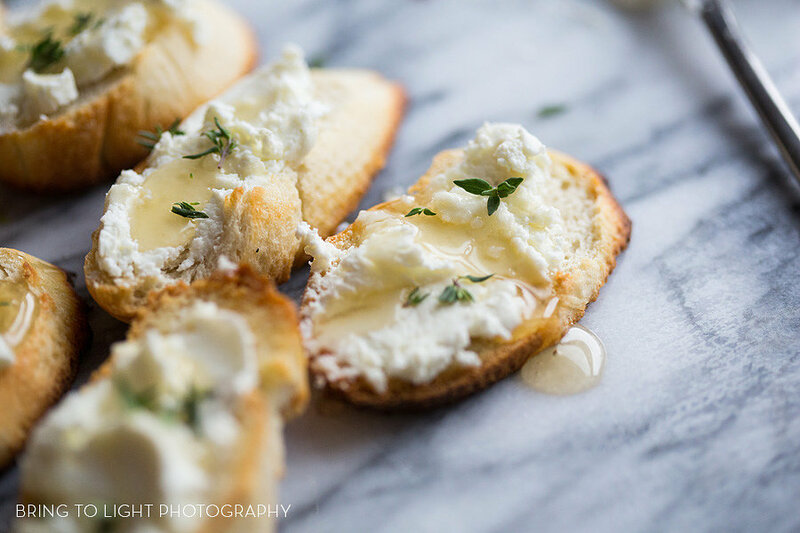 If I could figure out how to put videos on my blog, then I would take one of me eating these, because only then would you really be able to tell how very much I love these little goat cheese crostini bits of deliciousness. 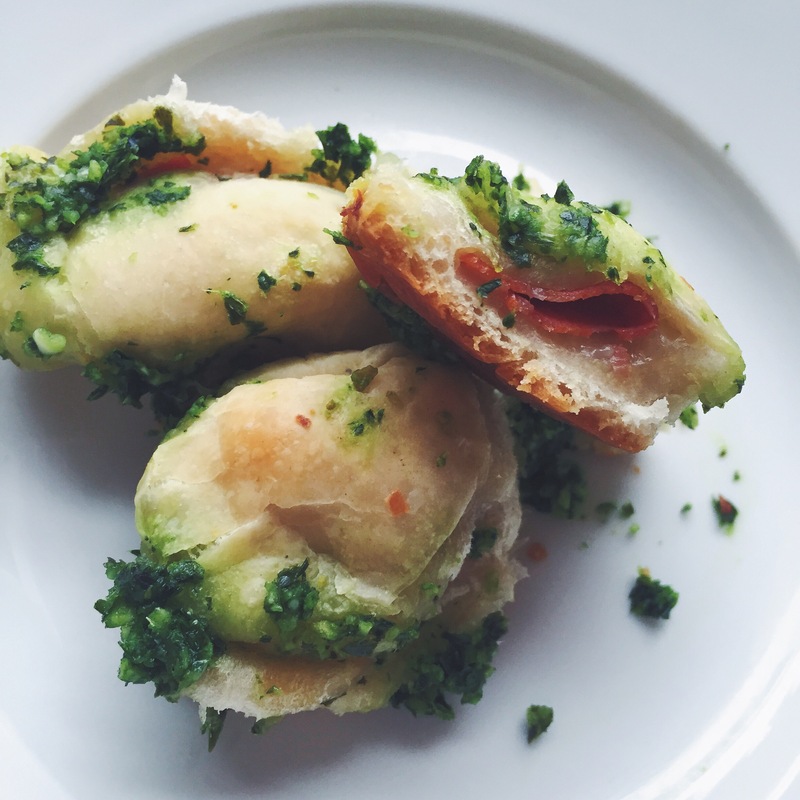 This recipe was totally snagged from a spectacular little hole-in-the-wall wine bar on Cape Cod, where I went with some girlfriends a few years ago. 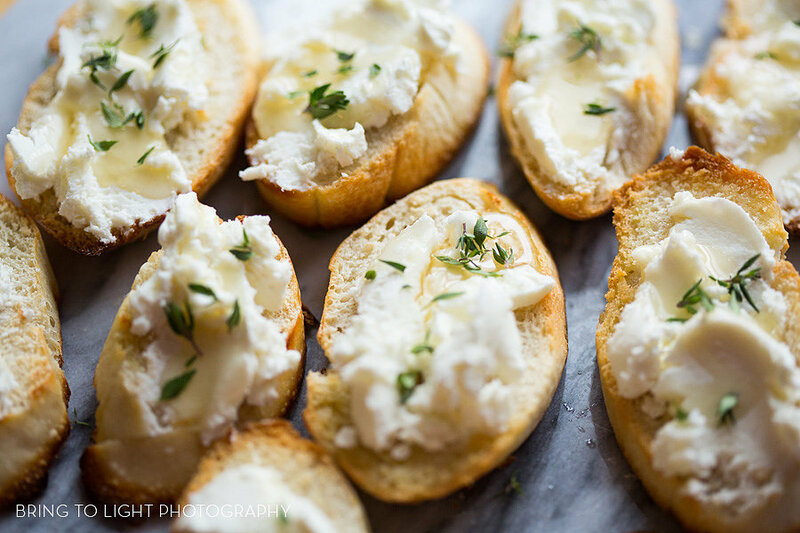 And since then it’s been a staple with our group of friends, when we get together, there better be goat cheese crostini. Also, did I mention how easy it was to make? 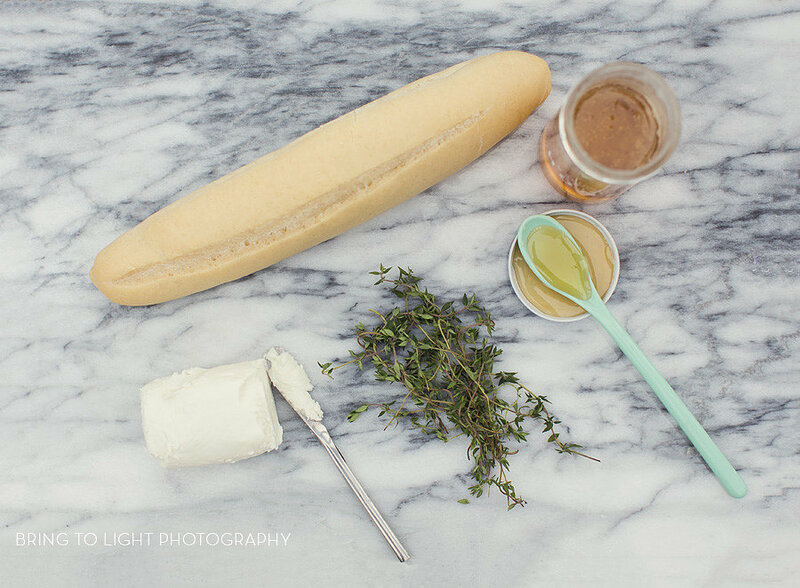 You just slice up a crusty baguette (I used Trader Joe’s ficelle), toast it under the broiler for 2-3 minutes, and then spread the warm bread with goat cheese. 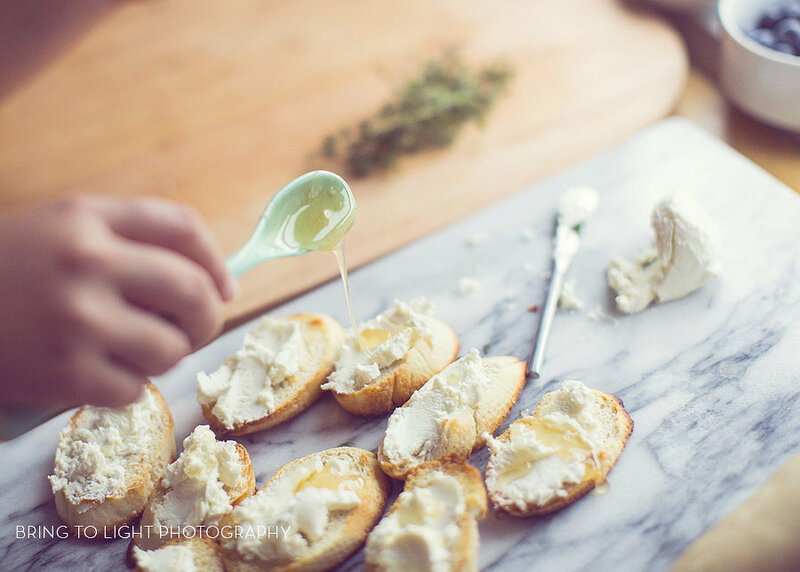 Then drizzle the crostinis with good honey — I used orange blossom honey, yum — and sprinkle with fresh thyme. The only other step is try not to eat them all before your guests arrive — I promise, it’s going to be difficult.